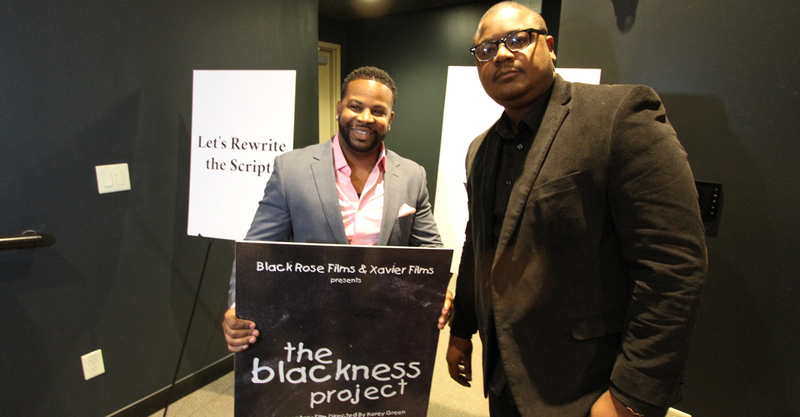 (March 20th, 2018) After two years in the making, award winning Director Korey Green and Executive Producer Peter Johnson will will have a second public screening of “The Blackness Project”. The event takes place at the Unitarian Universalist Church of Buffalo located at 695 Elmwood Avenue, Buffalo, New York 14222 this Saturday from 5pm to 7pm. As with the premiere at the Burchfield Penney Art Center this screening will be followed by another panel discussion on race relations followed by a public Q & A session. Johnson and Green set out to create a feature length documentary film about culture and race from the African American and other minority perspectives. The film was inspired from conversations about the “Whiteness Project” which is a similar documentary discussing race and the perceived loss of white privilege of white Americans. The main purpose of The Blackness Project film is to bridge the gap between white and black Americans with in depth interviews on race. Suggested donation for the screening is $10 Dollars. The Blackness Project (2018 Trailer) from Black Rose Production House on Vimeo.